Sign up and receive Property Email Alerts of Duplexes for sale in River Club, Sandton. 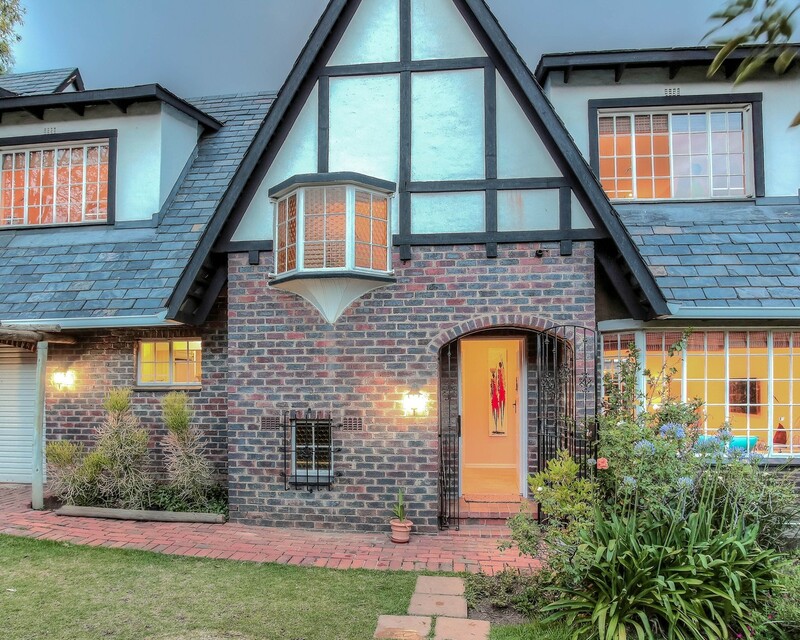 This very special duplex positioned in an appealing Complex, tastefully renovated and offers a lifestyle suited to young professionals who want to be minutes from Sandton's CBD, or, those scaling down but desire a peaceful lock-up-and-go "home from home". From the entrance hall to the open plan lounge and dining area, this home offers well considered and recently renovated flow and convenient living. The well-fitted kitchen with gas hob, under-counter oven and ample space is also open to the reception areas. A courtyard, private and ideal for summer family suppers. Upstairs two double sized bedrooms with en-suites, lots of cupboards and light, bright happy space. A single garage, a separate laundry and staff toilet. An exceptionally well maintained a sought-after Complex, beautifully maintained gardens with paths to the communal pool. A total of 18 units. The suburb is well-monitored with patrol vehicles and has an active Residents Association that organizes celebrations and community fun events in the nearby Poplar Park. Sign-up and receive Property Email Alerts of Duplexes for sale in River Club, Sandton.